If the sales in your company is a process, then you know how important it is to remember each customer’s wishes and agreements, to know which goods are in the warehouse and to keep the promises made. 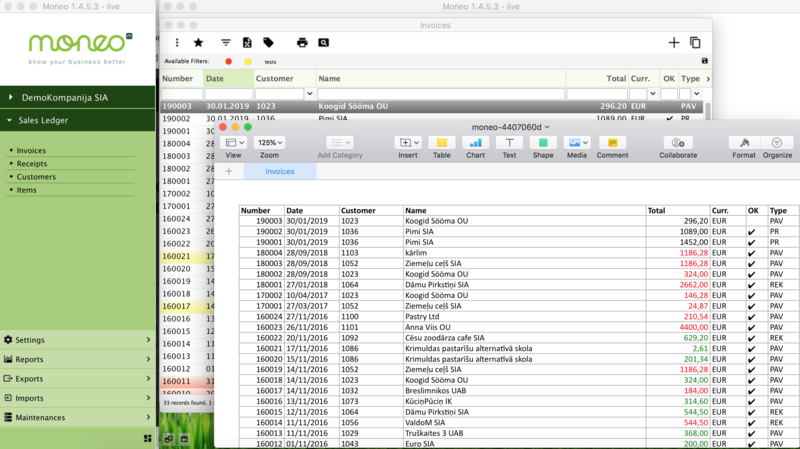 MONEO is an excellent tool for managing sales process. System offers several reports and visual accents to draw your attention to the most important events – whether they are orders to be executed today, bills that are delayed or out-of-stock goods. Sales order status control. Partial delivery of sales orders. Multiple delivery addresses and delivery terms for single sales order. Automatic billing for one or multiple sales orders. Scheduled deliveries on a given date. Automatic creation of shipping documents. Automatic creation of production orders from sales order records. Sales invoices register and invoice status control. 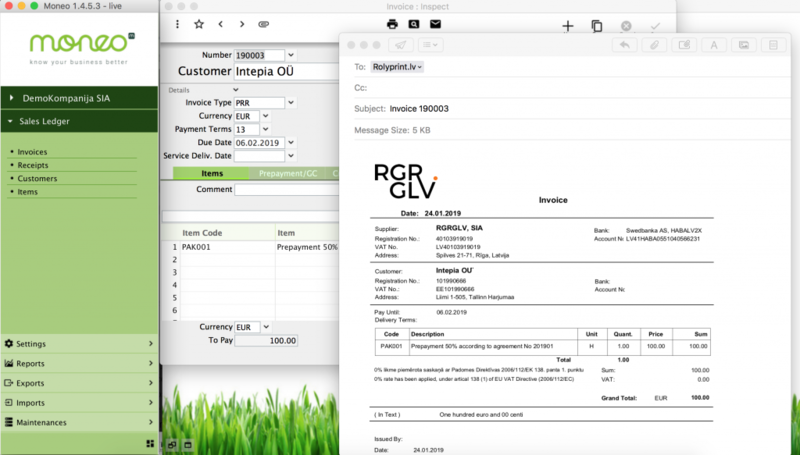 Easy invoice sending by e-mail (single or multiple invoices). Prepaid invoices and prepaid balances by customer. Sales statistics by items and customers. Tailored price lists by item and customer group. Discounts for period of time and customer group. Automatic repricing of price lists. Filtering and sorting your quotations by importance. Evaluation of sales agent activity. Easy quotation sending by e-mail. Easy conversion of quotations into customer sales orders or invoices. Advanced quotation document formatting and styling options. Due invoices report with overdue number of days. 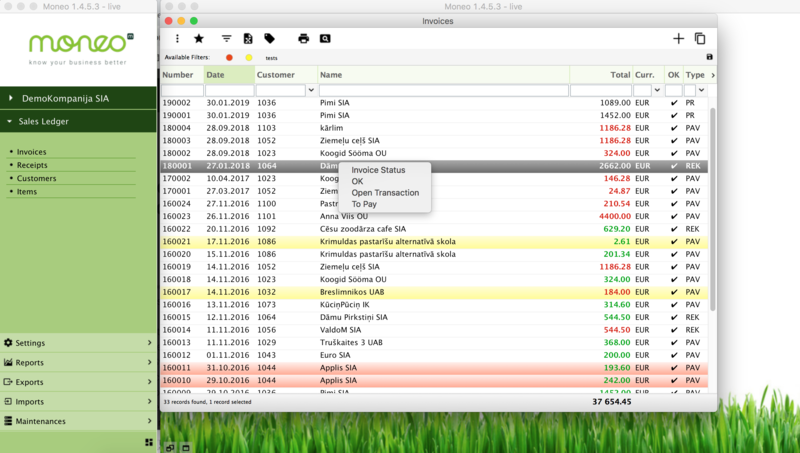 Invoice payment status in browse window. Filter and sort open invoices. 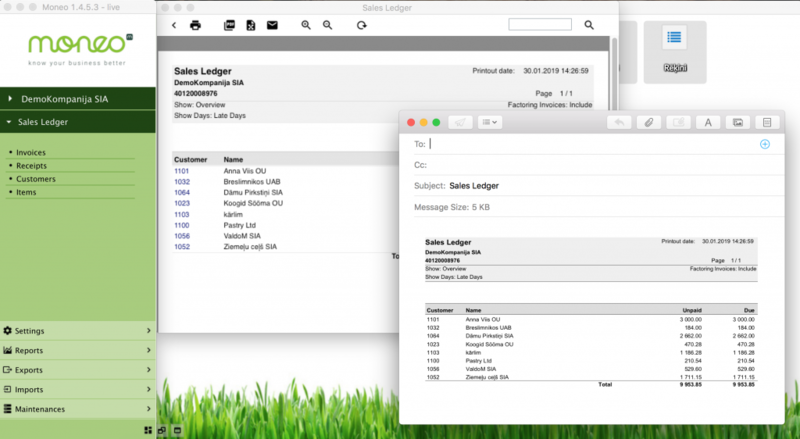 Easy sending of payment reminders invoices by email to single or multiple recipients with due invoices attached. Control the approval, payment and delivery deadlines of customer orders. Select most valuable customer orders and focus on them. Barcode scanning, label printing and other technical wonders will help you quickly and efficiently pack and deliver your products as soon as possible.